In the mountains of southern China, a small city is under construction that will give new meaning to the term ‘green infrastructure’ – it will be covered in vegetation to disappear into the natural landscape. In the Liuzhou Forest City currently under construction amidst the mountains of the Guangxi region in southern China, human beings are well and truly outnumbered by other living species. The city will host schools and office buildings, shopping malls and residential towers, hospitals and entertainment complexes, just like other cities and towns in China. 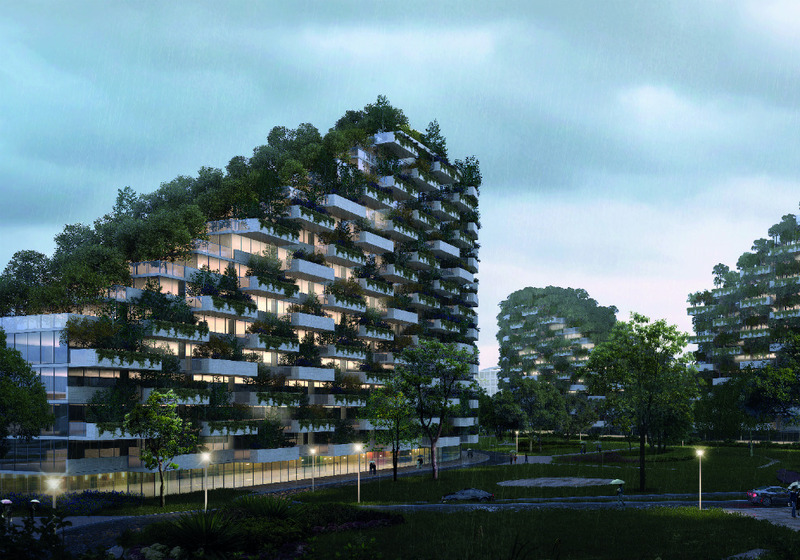 The difference will be that every building will also double as a vertical forest. Every balcony will contain trees and every roof will be covered in greenery. From a small distance, Liuzhou will appear almost as if the city has been long abandoned, like an ancient Mayan village that has been reclaimed by the unstoppable forces of nature. Liuzhou Forest City is the brainchild of Stefano Boeri, architect and founder of Stefano Boeri Architetti, a firm with offices in Milan, Shanghai and Tirana (Albania’s capital). Boeri has become well known globally (in architecture/engineering circles at least) as a thought leader around urban planning that brings nature back into the centre of cities. He doesn’t just talk the talk. 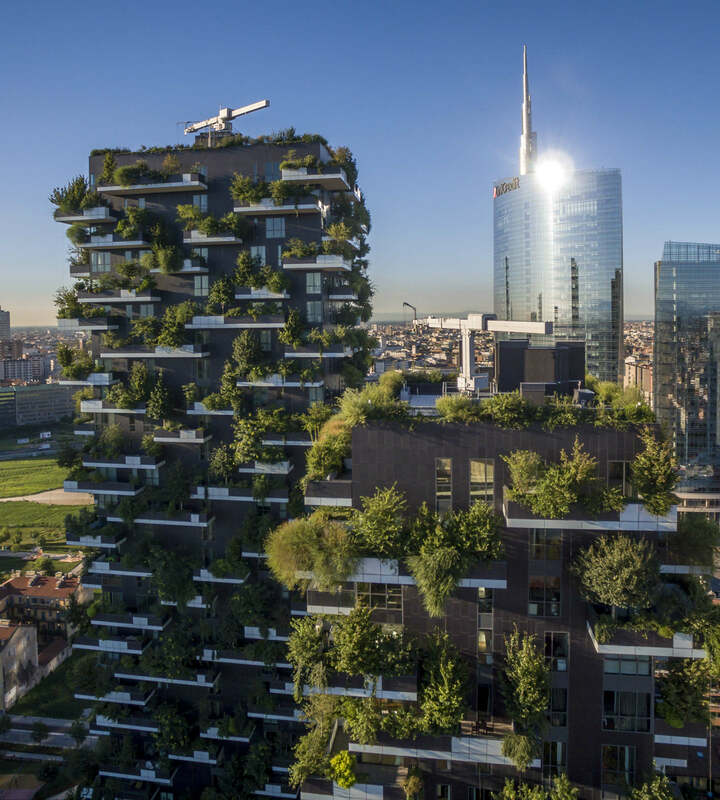 Boeri has already completed several projects, including two residential towers in the centre of Milan that magically merge heavy engineering and nature to create structures that are liveable for families and trees. He calls them ‘vertical forests’. “In Milan, we began placing the trees in and on the buildings in 2012 and residents entered the building in October 2014,” Boeri said. Bosco Verticale (vertical forest) in Milan. Except, of course, it’s not. A discussion with Arup engineer Luca Buzzoni, associate director in Arup’s Milan office, reveals there was more than a little innovation and invention that had to go into the build, particularly to ensure trees would not crash down on footpaths and roads below. For the first time in his career, and probably in anybody’s career, Buzzoni and his colleagues had to figure out how to overcome the many challenges of having trees living up to 110 m above ground height on balconies exposed to wind, rain and more. “The cantilevers are fairly large. So first of all we have significant loads on cantilevered structures and that is not very typical,” Buzzoni said. In order to engineer the towers in Milan, one 76 m in height and the other, next door, reaching 110 m, the Arup team could not simply consult the academic literature because there was none. Every piece of research had to be conducted from the ground up, and every new problem required a solution along the way. The greatest challenge, Buzzoni said, was the previously mentioned issue of safety. It was about falling trees. The engineers consulted with botanists and agronomists, then built scale models to conduct two different types of wind-tunnel testing in order to figure out what should go where on the building – and how to keep it there. The first tests were in internal wind tunnels in Milan with a one-to-100 scale model on which the ‘trees’ were handmade from various materials and instrumented with various small devices to measure forces. This simulated the dynamic behaviour of real trees at scale. The second phase of testing required visit to an outdoor wind tunnel facility in Florida where structures are often tested for hurricane stability. Several real trees were put through their paces in order to ensure the scale-model results were in line with reality. “We analysed the wind forces that various trees could take at different heights. For levels where the wind forces could be very large, or when the trees would grow to a significant size, we decided that those trees would be planted into a steel cage under the soil,” Buzzoni explained. An additional safety system involved a steel cable connecting each planter to the terrace above, plus three strong rubber bands connecting each tree to its steel cable. “So, the actual structure of the building was not really different to the structure of a normal building,” he said. In order to support such life, the entire building was rigged up with an automatic watering program controlled by a central building maintenance system. The central computer ‘brain’ now receives constant analyses of air humidity, soil moisture, etc, adding water and nutrients whenever necessary to keep conditions at an optimal level. Most satisfying for Boeri was seeing the effect the building itself had on the community within. “We get all types of people wanting to live in the buildings, including families, couples, singles, people from abroad, etc,” Boeri said. “They are people who clearly have a very strong affinity with nature. They have to be, because they are living in very close proximity to nature. Even if they are on the 21st floor they will have leaves blowing in their bedroom window from the tree outside! 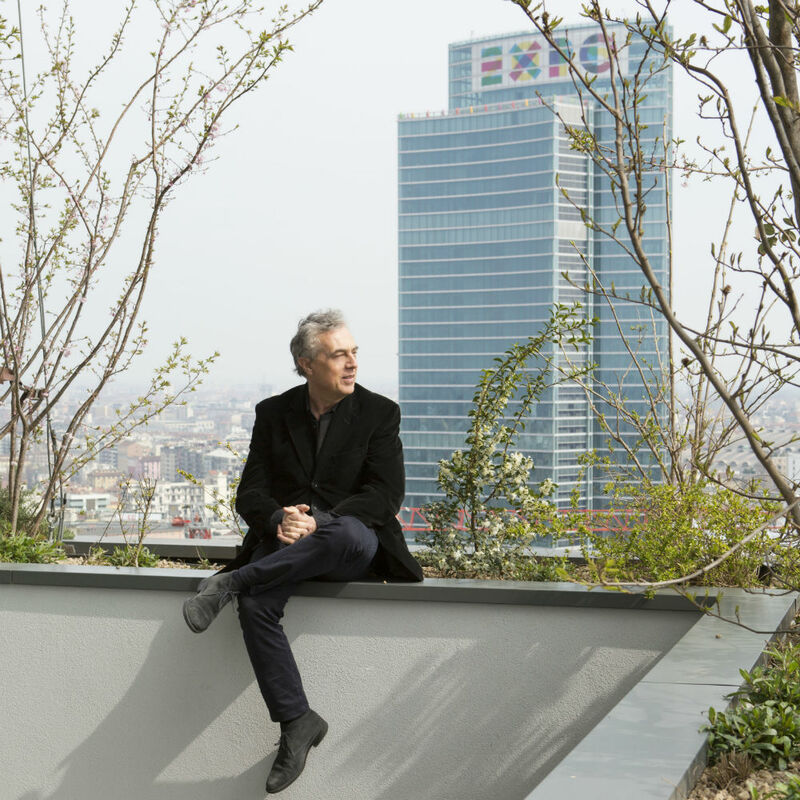 Then, of course, there is the environmental benefit of the work that Boeri is doing, especially now it has scaled up from one or two buildings to an entire Chinese city. The Liuzhou project is not the only green infrastructure project Boeri is producing. Since the completion of the Milan towers, business has been booming. Cities around the globe, including Nanjing, Shanghai and Shenzhen in China, Antwerp in Belgium, Lausanne in Switzerland, Paris in France and many more, now have Boeri builds at various stages of completion. His work has found a willing audience in a world that has become increasingly separated from nature and in which pollution and stress in urban regions has been on the rise. Bringing buildings back in line with nature seems an obvious choice, but actually the idea came to Boeri when he was looking at plans for a supermodern city made from steel and glass. Liuzhou Forest City in the Guangxi region of southern China. “I always had an obsession with trees and I had tried many times to find the best way to put trees together with architecture,” he said. “Then I was in Dubai teaching a course and we were looking at plans for a new development, a crazy city of about 200 new skyscrapers and all of them were covered with glass panels. The client, he said, was sceptical at first, and sent back a long list of technical questions. That’s when Boeri gathered a team of structural engineers, botanists, agronomists and others to answer all of the questions and quell the client’s concerns. The client was happy with Boeri’s response and a new form of architecture – the vertical forest – was born. “It is good for the environment and for the people,” he said. “High-rise buildings can absorb carbon dioxide and pollutants. Skyscrapers covered with leaves and branches enjoy reduced energy consumption. We have completed several variations, but one in northern Holland, I consider very important because it is a social housing project for low-income families.